Find your closest match to your custom blend. Save money and time with our Closest match Calculator. Enter your blend percentages in our form and we’ll match it to our ready-to-ship professional mixes. 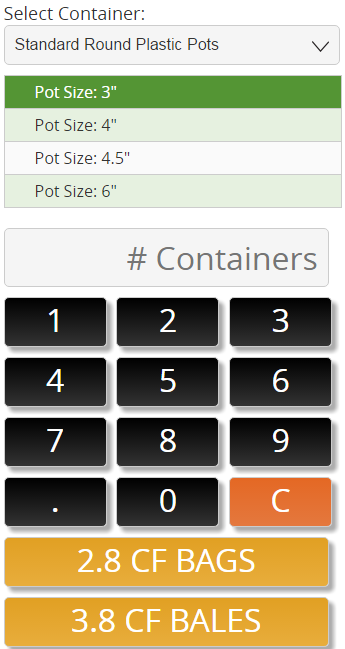 The Sun Gro Potting Mix Calculator delivers the perfect quantity of mix for your needs. 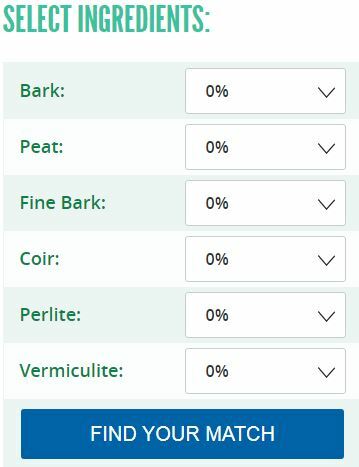 Click here for conversion tables for Fertilizers, Spray Coverage, Drench Rates and Common US to Metric Conversions – on a single print out.